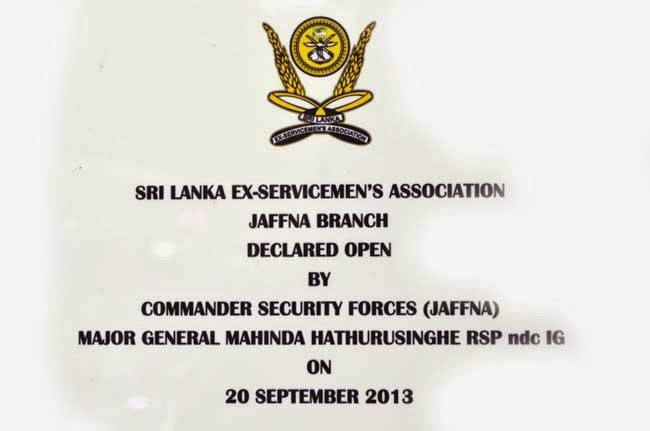 The inaugural social gathering of the newly established Jaffna branch of the Sri Lanka Ex-servicemen's Association was held recently at its new office at the Jaffna Civil Affairs and Public Relations Office complex. It was nostalgic occasion for the northern ex- servicemen and their families who had gathered there at the invitation of Major General Mahinda Hathurusinghe, Commander, Security Force Headquarters - Jaffna (SFHQ-J). The new Jaffna office of the Ex-servicemen's Association was also declared open during the event. The occasion provided the retired servicemen a perfect setting to meet old comrades in arms and renew contact and friendship. Valuable gift packs were presented to them and their grand children who had accompanied them. State officials, ex servicemen association officials and senior military officers were present at the occasion.